The STS Leeuwin II is Western Australia’s own Tall Ship based in Fremantle WA. 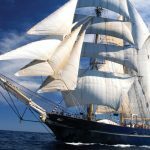 The Leeuwin is a three-masted barquentine. It was built to a design by local naval architect Len Randell by Australian Shipbuilding Industries Pty Ltd (now BAE Systems Australia) and launched on 2 August 1986 as sail training ship. It is operated by the Leeuwin Ocean Adventure Foundation, a not-for-profit organisation which provides award-winning hands on learning and leadership development programmes, mainly aimed at young people aged 14-25 . 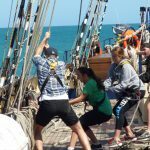 STS Leeuwin II provides anyone 14 with the opportunity to learn to sail Australia’s largest ocean going sail training ship, while experiencing emotional, physical and mental challenges, yet at the same time having fun and making new friends. The ship’s overall length is 55 metres and its beam 9 metres. The hull is welded steel with a teak deck. 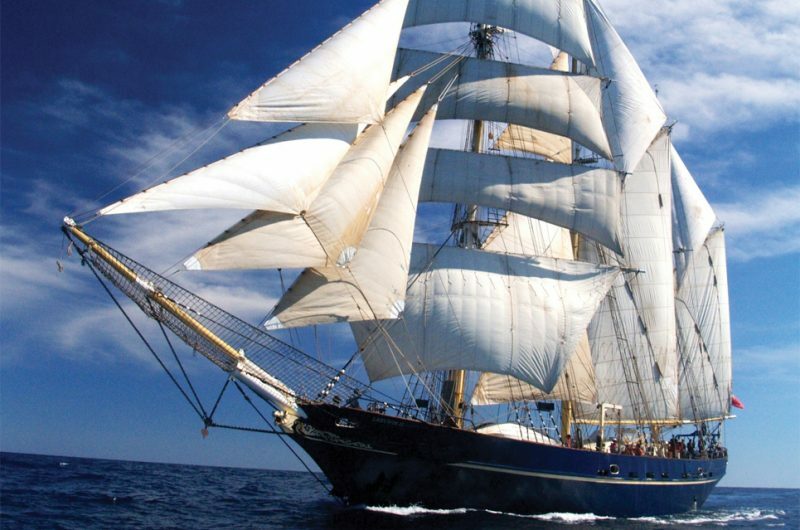 The main mast is 33 metres tall and, when fully rigged, the ship carries over 810 square metres of sails. A full crew consists of 55 people, consisting of 5 permanent crew, up to 10 volunteers (including four watch leaders, a bosun’s mate, cook’s mate and purser), and 40 trainees. The watch leaders take control of the four watch groups and lead the trainees through activities and ship duties on voyages of six days and more. Build your work-ready skills, add to your resume, and invest in your future. Communication, leadership, teamwork, and collaboration are just a few of the skills that employers are looking for. Complete the Adventurous Activity or Pursuit for Venturer Scouts doing their Queen's Scout Award and gain the opportunity to return as a Leeuwin volunteer. Find out if you have an interest in a Maritime Career. Make friends outside your regular school, university, workplace, or sporting group. Improve social confidence for the future. Learn things you wouldn't normally in the classroom or workplace. All aboard! 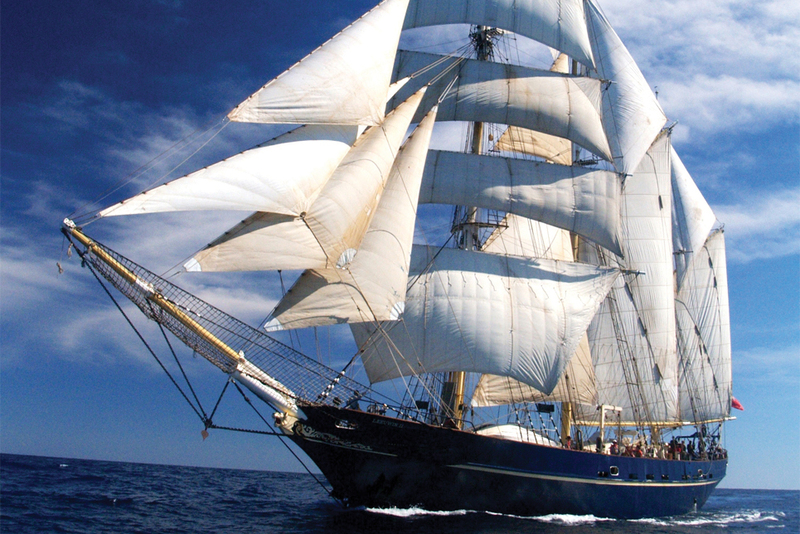 We challenge you to a week-long voyage onboard the STS Leeuwin II. Voyages are a great way to get active, meet new friends, and develop skills for your future - at school, university, or for the workplace. 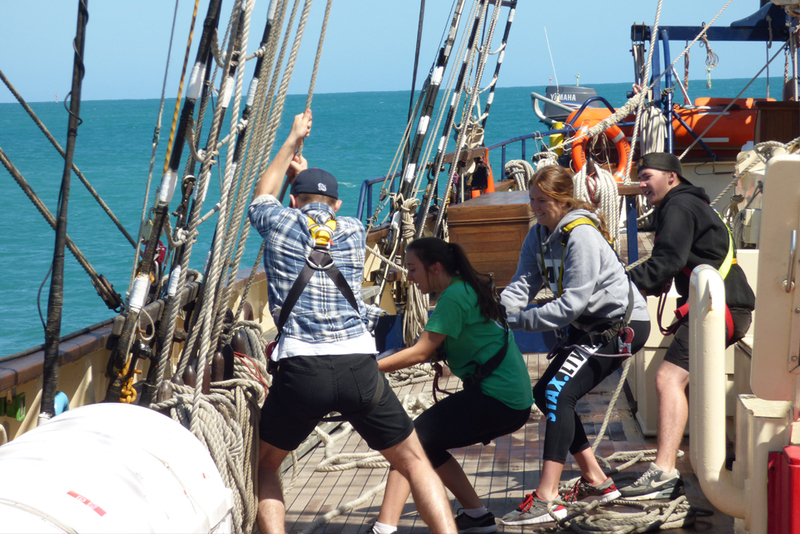 We run a working ship, so during the voyage you will be part of a whole heap of hands-on activities. From navigating the ship and taking the helm, setting and furling the sails, climbing the masts and working aloft, standing watch while sailing through the night.